Easter is such a wonderful occasion. It’s a spring holiday, when things are in bloom and there is new life awakening all around- like the little birds that are nesting in the eve of my porch. (Interestingly, the 4th bird family to inhabit this same nest-home over the past couple of years ). For me, this holiday signifies the hope and new life I have. It is a joyous release at the end of a long Lenten season. After the weeks leading up to Jesus’ death and the sobering reality of Good Friday, the joy of the Easter miracle that He is alive calls for a glorious celebration! 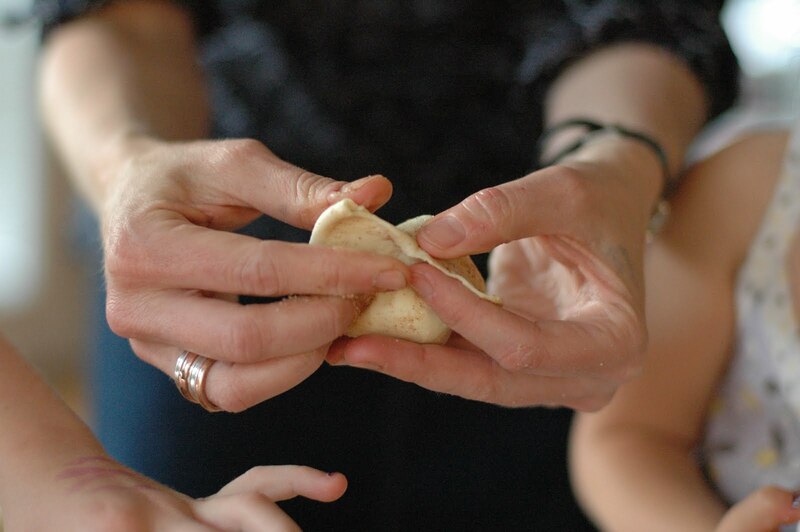 We usually begin Easter morning with making and devouring Resurrection Rolls. Resurrection Rolls are actually the Pillsbury Magic Marshmallow Rolls. They are fun and easy to make with kids. They “bury” the marshmallow, dredged through melted butter and cinnamon, inside crescent dough (analogous to the body in the tomb) and as they bake, the marshmallows expand and then melt. 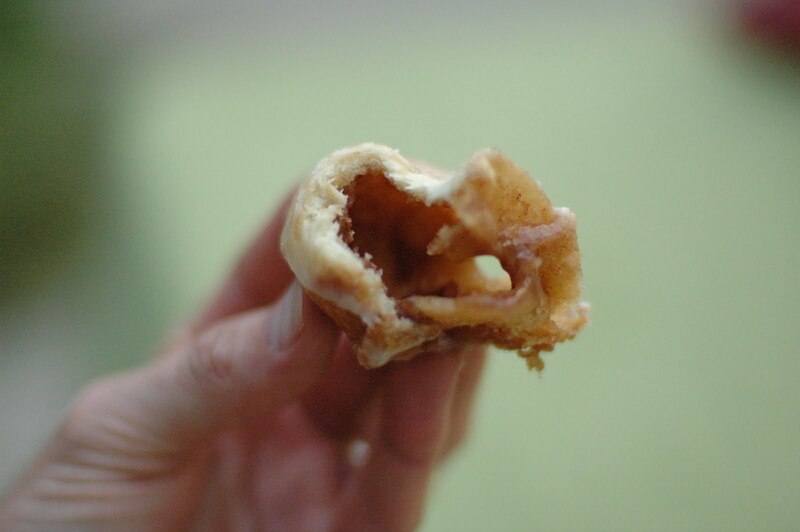 When the rolls are baked, they come out as hollow, “empty tombs” (filled with gooey cinnamon-y sweetness). I don’t remember when these Magic Marshmallow Rolls became Resurrection Rolls in my history, but somehow these yummy, easy sweet rolls gained religious symbolism along the way! 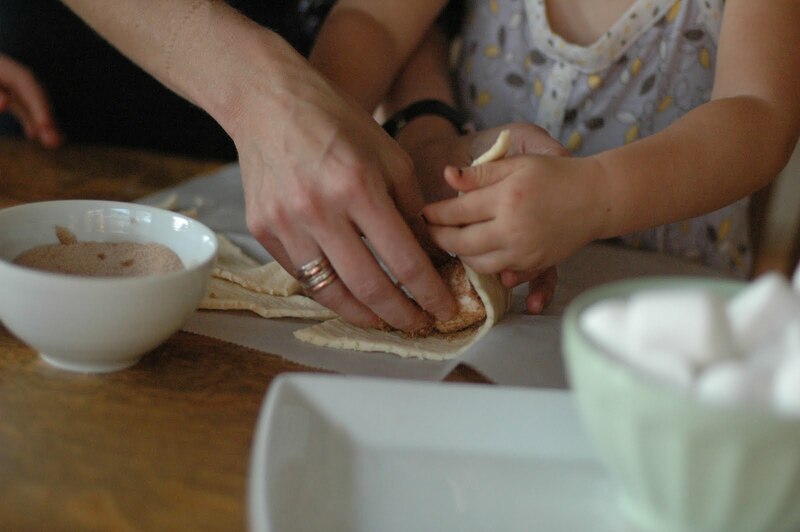 Now you can look around on-line and find recipes for “Resurrection Rolls”. The fun of making these is the process and the visual they provide of what was once there and is no longer. (I recognize the limitations that this symbol contains, Jesus vs. a marshmallow; a Crescent roll vs. a tomb for the dead; disbelief and conquering death vs. a yummy breakfast treat, to mention a few). 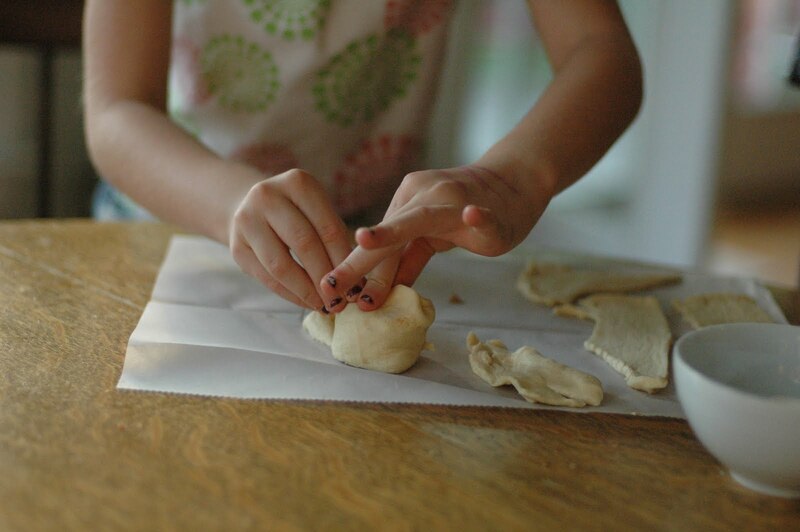 But it is a fun, easy, inexpensive activity to do with the kids and a very delicious breakfast roll! In a small bowl mix together sugar and cinnamon. Melt butter in separate bowl. 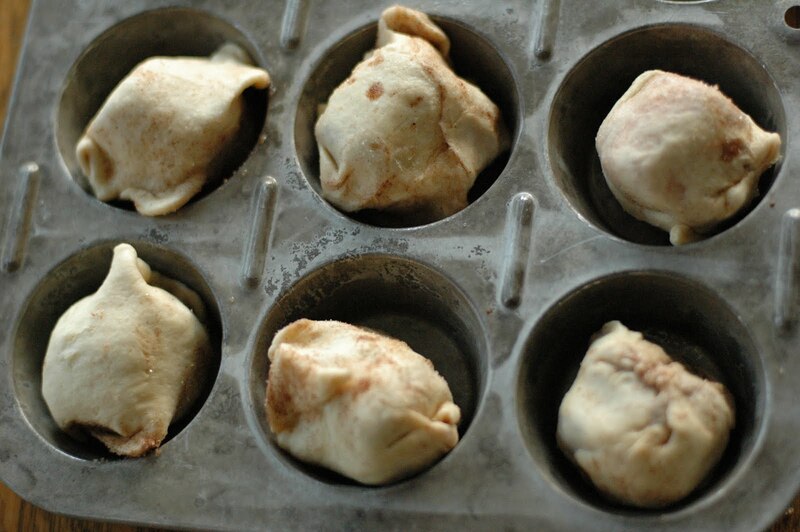 Dip marshmallows in melted butter and then roll in cinnamon sugar. 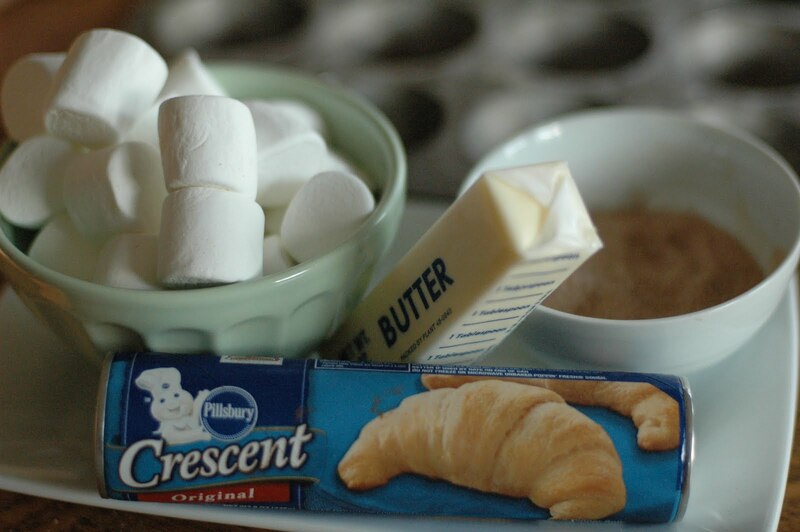 Place each marshmallow on a crescent roll and wrap dough around so that the marshmallow is completely hidden, pinching it as needed. (This is very important). 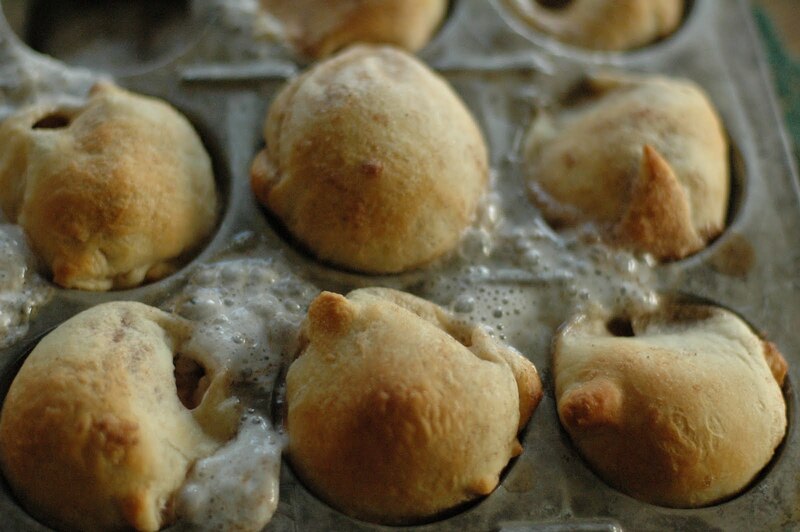 Place in greased muffin tins and bake at 375 degrees for 10 minutes or until golden brown. Meanwhile, stir together powdered sugar, milk and vanilla until smooth and pourable, but not too thin. Immediately remove from pans. (They may be sticky- use a spoon to loosen them). Place on a platter. 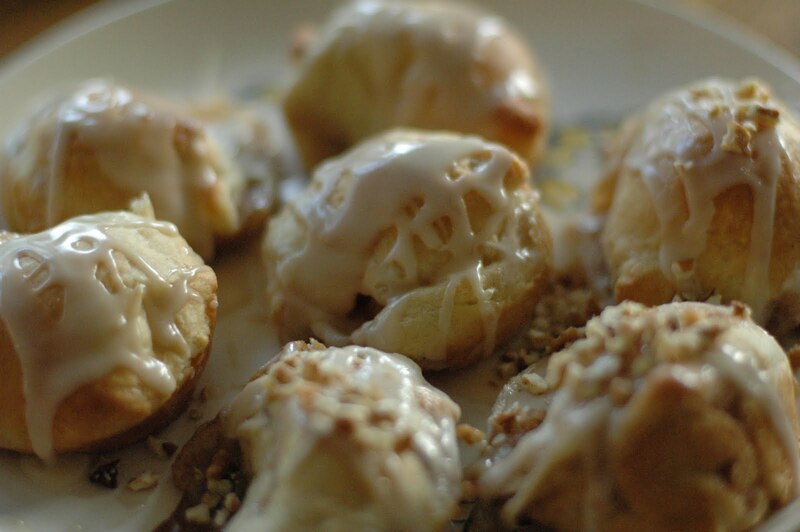 Drizzle with icing and top with pecans. Eat while warm. (Makes 16 rolls). To reheat, wrap in foil, heat at 375 for 5-10 minutes. 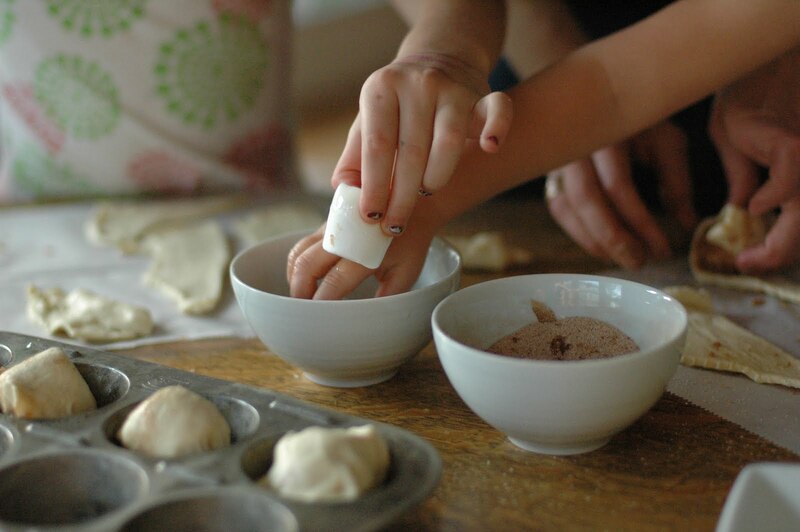 Oh man, I'm making these on Saturday with my boys. I think they'll be a big hit. Thanks! I. Love. These. Delicious theology. I bought 2 packages of crescent rolls this week!! We'll be making them too! I seriously do not think the Lord would mind being compared to a marshmallow in this instance. I can just see Him grabbing a few for the road! I like the way y'all think! Very fun. My mom is making with my niece and nephew tomorrow. I plan on being a taste tester! I looked at the photo. How cute! I'm glad they were fun and yummy! Thanks for reading.